Stay up to date on all things in the medical community like nursing, education, scrub style and more from allheart. Explore the allheart scrubs fit guide to learn how to choose the most flattering scrubs for your body type and preferences. 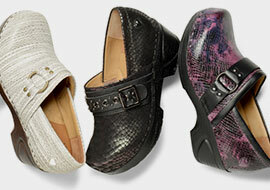 Find your dream pair of nursing shoes and comfortable nursing apparel by Nurse Mates at allheart.com, where we have a wide variety of Nurse Mates clogs, sneakers, slip-on nursing shoes and so much more. Discover how nurses jumped into action following a string of natural disasters in 2017. Brave nurses from around the world were the first in line to aid in Houston, Puerto Rico, Houston, Bangladesh and beyond. 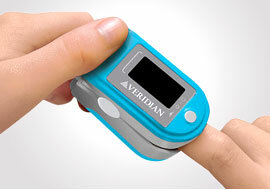 Reference allheart’s in-depth pulse oximeter buyer’s guide to learn which style is right for your needs and budget. 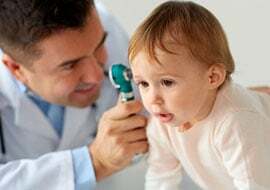 We’ll cover the best pulse oximeters for nurses, respiratory therapists, pediatricians, sleep specialists and more. 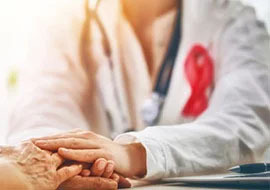 Explore the science behind antimicrobial scrubs with allheart and learn more about scrub brands that feature antimicrobial technology. 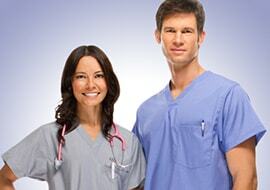 Are you shortening the life of your medical uniform? 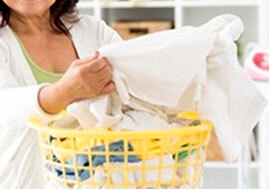 Learn how to wash scrubs and lab coats perfectly without spending hours doing laundry. 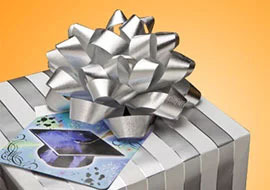 Find the perfect gift for medical school grads with our med school graduation gift guide. Not only can you choose the fit and color of your scrubs, you can also customize them further with embroidery and emblems at allheart.com. 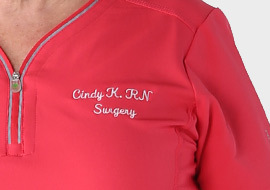 Learn what products besides scrubs can be customized this way, and what design options are available for both embroidery and emblems. 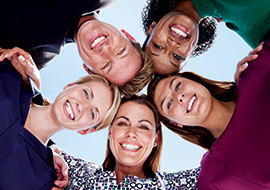 National Nurses Week is May 6 through 12, making this the perfect time of year to celebrate the nurse in your life. 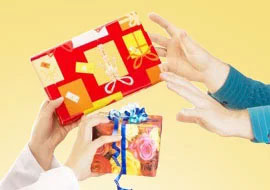 Visit allheart.com for several great gift ideas, from special scrubs to compression socks and more. 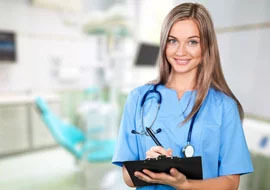 There are two important parts to any nursing bag technique: stocking it with the right items and disinfecting it to prevent the spread of infections. Visit allheart.com to discover some essential items you should always have in your nursing bag, plus a step-by-step guide to thoroughly disinfect your bag after visits. Nurses must wear scrubs to work—but beyond that, there are many options for personalization. 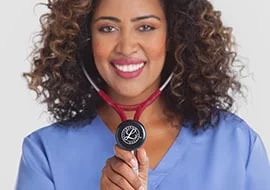 Discover eight ways you can customize your medical uniform that are both hospital- and nurse-approved, from stethoscope charms to colorful compression socks. New awareness ribbons are being created every day, and the many different causes total in the hundreds. Learn a brief history of awareness ribbons, different ways to show support and which causes each ribbon color represents. From the 1800s onward, medical uniforms evolved alongside the medical field itself, and classic scrubs are only about 50 years old. From regular clothing to butchers’ aprons to white dresses to green scrubs, discover the history of medical uniforms. Sweaty feet can be annoying and even smelly, especially during long nursing shifts. 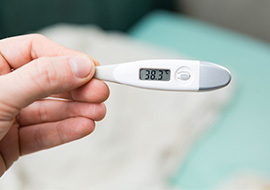 Even though you’re on your feet all day and must wear specific scrubs and shoes, there are still plenty of changes you can make to reduce feet sweat. Check out our nine tips for fighting sweaty feet. Sphygmomanometers, better known as blood pressure monitors, come in many different types. 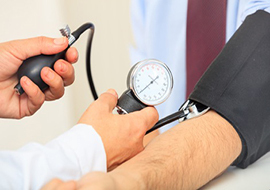 Learn about the difference between manual and automatic blood pressure models, how to use a sphygmomanometer and the history behind this important medical device. 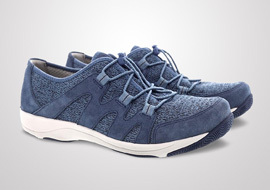 Can Plantar Fasciitis Socks Relieve Heel Pain? Plantar fasciitis (heel and arch pain) is a common complaint among nurses and other professionals who spend all day on their feet. Find out the causes of plantar fasciitis as well as seven at-home remedies to try, from plantar fasciitis socks to stretching exercises. Both working as a nurse and carrying a baby are demanding jobs — and working as a nurse while pregnant can be even more challenging. 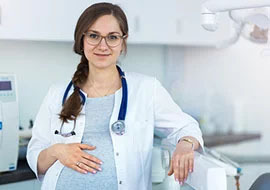 Follow these 22 tips to ensure a safe and comfortable pregnancy while you keep working as a nurse. 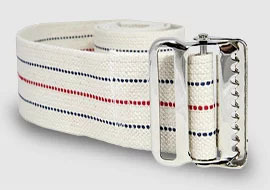 A gait belt is a simple but incredibly effective tool that helps patients with limited mobility sit, stand, and walk. Discover what a gait belt is, when it’s appropriate to use one and how to move and transfer patients using a gait belt. Sometimes the basics really are the best, especially when it comes to nursing supplies. Discover the nine essential items that every nurse needs to keep on hand to take care of patients. Exam gloves are simple to make, but that doesn’t mean buying them is equally straightforward. 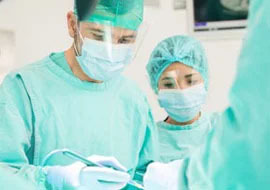 Should you get sterile or non-sterile, exam-style or surgical-style? Which material should you chose? Find out everything you need to know about choosing the right exam gloves for your clinical setting. As you prepare to start nursing school for the first time, it can be hard to keep track of all the items you need. Use this list of 18 essential nursing student supplies to ensure that you’ve bought everything before the first day of class, from textbooks and backpacks to scrubs and stethoscopes. 3M Littmann released the Cardiology IV, and it’s setting the new standard in stethoscopes with improved performance, durability and design. 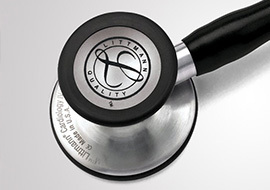 Discover four reasons why the Littmann Cardiology IV Stethoscope is the perfect choice for your next stethoscope. 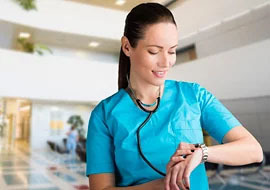 Classic nursing supplies such as stethoscopes, blood pressure monitors and thermometers have been brought into the digital age with the rise of technology. Discover 14 electronic nursing supplies that are making nurses’ lives easier today. 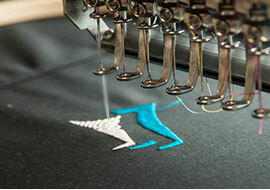 Landau has been making fashion-forward medical uniforms for more than 50 years without losing its edge. Discover our seven favorite collections from Landau scrubs and find out why nurses keep coming back to this company’s products. 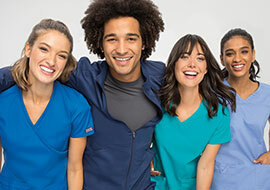 Cherokee Uniforms is the industry standard in scrubs, and there’s a reason why nurses love the brand’s products so much. 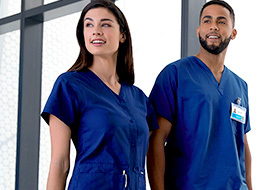 From a history of innovation to the wide range of styles and sizes, discover eight reasons why nurses keep buying Cherokee scrubs. Nurses can walk several miles in a single shift, so their shoes can wear down quickly. 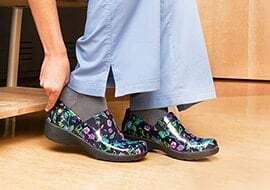 Follow these seven tips to keep your nursing shoes clean and good-looking for as long as you possibly can. 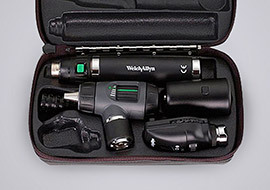 A diagnostic set consists of an ophthalmoscope and otoscope and is used to examine the ears, eyes and throat. While the basics of each set are the same, there are dozens of individual instruments available. Discover everything you need to know about building your own diagnostic set at allheart. 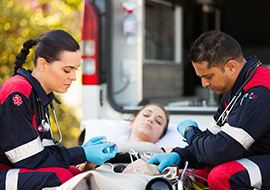 Because they work out of an ambulance rather than a hospital, EMS professionals need to carry a lot of gear to make sure they are prepared for any eventuality. 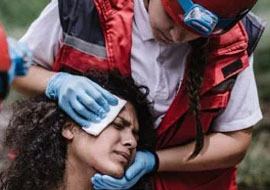 Discover the 10 EMS supplies every paramedic must carry. 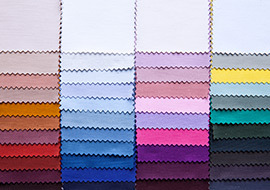 Cotton or polyester, poplin or twill weave—how to decide on the best scrub fabric for you? 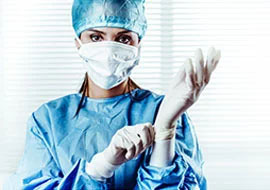 In this guide, we break down everything that nurses need to know about scrub fabric, including fibers, weaves and treatments. Home health aides have to carry everything they need with them, since they can’t visit the hospital supply closet down the hall when they forget something. 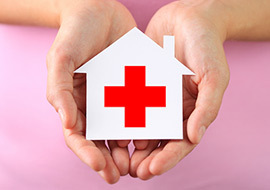 Discover the 10 items every aide should pack in their home health nursing bag. While you have to wear scrubs to your nursing shift, you don’t have to look or feel unfashionable in them. Follow these seven tips for choosing and wearing stylish scrubs, from selecting the right size to personalizing them with embroidery. Jockey® is most well-known for manufacturing underwear, but it also makes scrubs that are just as comfortable as the brand’s underwear. Discover the four collections of Jockey® scrubs and find out more about the brand’s comfort guarantee. 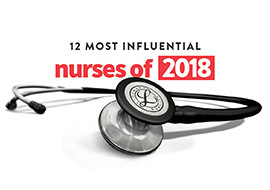 While others like to count down their favorite movies or music albums from the past year, we want to celebrate some of the most inspirational nurses from 2018. Discover these 12 great nurses and the wonderful work they are doing, from coordinating hurricane relief efforts to helping homeless veterans. 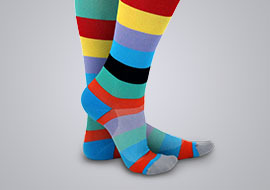 Which Level of Compression Socks Do I Need? Nurses know that they should wear compression socks to help combat circulation issues that can result from being on their feet all day. Discover the five main levels of medical compression socks as well as the conditions that each can help prevent or treat.